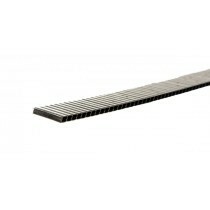 Roof ridge vents are an essential part of many roofing systems. They help towards ensuring that any air which enters from the eaves is able to escape. This combats any build-up of moisture beneath your roofing sheets or tiles. 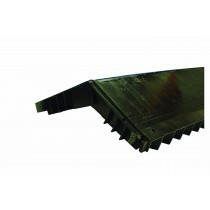 Roofing Megastore stock roof ridge vents to accompany a handful of our roofing sheets and tiles. These include those from Tapco and Britmet. In the majority of cases these ridge vents sit below a separate ridge tile in order to allow air to circulate beneath. Roof ridge vents are essential if you are to maintain your roof space. A build-up of condensation may cause wood to rot. By allowing air to circulate from the eaves to the ridge, you can minimise the chances of this. Have Questions About Our Ridge Vents? If you have questions about our range of roof ventilation, speak to our team by telephone or via the online chat. With over 40 years of experience in roofing, we’ll help answer your questions about roof ridge vents. We will also help you pick the necessary fixings and flashings for your project. Roof ventilation is essential to maintaining your home. It does not only protect your loft insulation, but prevents any moisture having a detromental impact on the timber within your roof. There are, however, a few common questions our customers ask before buying ridge vents. Below are answers to each of these! Do You Need a Ridge Vent? Ridge ventilation is essential. It ensures air that enters at the eaves of your roof is able to escape. This flow of fresh air prevents any moisture from building up beneath your roofing materials by removing warm air. In doing so, it reduces the chance of your timber becoming damp and rotting. Will My Ridge Vent Lead? The majority of ridge vents are purposely designed to direct intrusion of water. Whilst sideways rain may enter on occasion, this is highly unlikely and should dry quickly due to the continuous flow of fresh air. What Are the Other Types of Roof Ventilation? If you have more questions about our ridge vents, speak to our team online or by telephone. With over 40 years of experience in roofing, we’ll help answer your questions about roof ventilation and minimise the chances of moisture forming in your loft space.